When evaluating your smile, it is important to identify particular parts of your smile that you would like to improve. 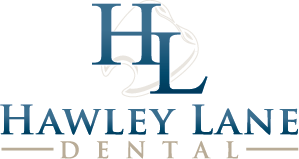 When it comes to making these improvements, Hawley Lane Dental is the top cosmetic dentist in Stratford. Our dentists are trained in the latest cosmetic dentistry innovations – from teeth whitening to dental implants to Invisalign. Hawley Lane Dental’s cosmetic dentists in Stratford are known for their excellent work and friendly customer service. Our dental office is conveniently located in Stratford near CT-8 and Merritt Parkway, serving the Startford, Trumbull and Bridgeport communities. By answering the following questions, you and your dentist can help tailor your treatment and provide you with the most satisfying outcome. Do you like the way your teeth look when you look in the mirror? Would you like to improve the shape and alignment of your teeth? Do you have any spaces, chips or missing teeth that you would like to fix? There are several options a cosmetic dentist can perform to improve the appearance of your smile. These may be used individually or in combination with each other to help you achieve your most attractive smile. Veneers are thin custom-made porcelain that covers the front sides of your teeth. They may be used to change the color, size, shape and position of teeth. Chipped or worn teeth, teeth with spaces, permanently stained teeth and slightly crooked teeth can all be improved with veneers. To learn more, visit our page on veneers. 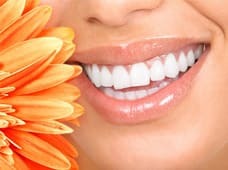 Teeth whitening, also called bleaching, can be used to lighten and brighten teeth that have been stained or discolored. Certain types of stains may not respond to whitening and may benefit from veneers. To learn more, visit our page on teeth whitening. Bonding helps improve teeth that are chipped, stained or have spaces between them. Tooth colored dental material is permanently affixed to the teeth to change the appearance. It may also be used to cover exposed root surfaces for people who have gum recession. Enamel shaping is a very conservative procedure that can dramatically change the appearance of your smile. Natural teeth can be reshaped or contoured when they appear too long or uneven. Unsightly old silver (amalgam) fillings may be replaced with a tooth colored filling material that matches your natural tooth shade. These fillings are not only more esthetic but are also less likely to crack or break your teeth. Porcelain may also be used to fill your teeth (inlays). Porcelain inlays will last longer and look more esthetic than white fillings. To learn more, visit our page on dental fillings. Crowns that have metal and porcelain often result in black lines along the gums over time due to the gums receding. Porcelain crowns contain no metal and do not show the common “black line” over time. They also reflect the light in a more esthetic way, resulting in crowns that are look more like natural teeth. To learn more, visit our page on dental crowns and caps. Teeth that are too short or smiles that are “gummy” can benefit from gum contouring. Your dentist or periodontist can change the shape of your gums to make teeth appear longer. Many adolescence and adults feel self-conscious having metal braces on their teeth when they speak to others. Teeth that are crooked, have spaces, overbites or underbites can all be corrected with invisible braces. To learn more about what clear braces can do for you, please visit our page on Invisalign. Having an attractive smile not only improves your self confidence but changes the way people perceive you in day to day interactions. You no longer need to settle for stained, chipped or crooked teeth. Even subtle changes can make a dramatic difference in the way you look and feel about yourself. Ask your cosmetic dentist about your options for having the smile you have always wanted. If you are self-conscious about your smile or would like to see improvement and are looking for a ‘dentist near me‘, let Hawley Lane Dental create a treatment plan for you. Please call our Stratford cosmetic dentists at 203-377-9300 to schedule an appointment.